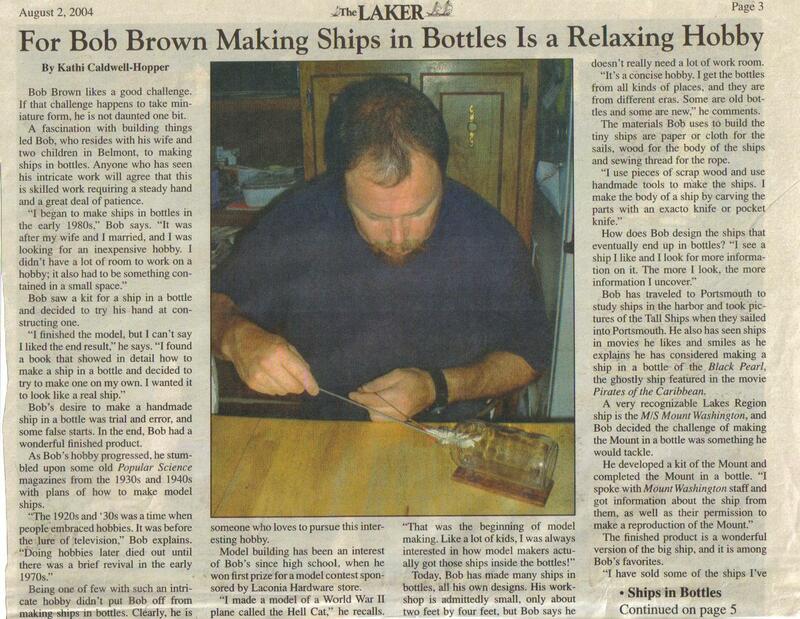 Robert (Bob) Brown began making ships in bottles in the early 1980’s. His first effort was a kit but soon he was working from his own plans and through trail and error began to make models that looked like real ships. 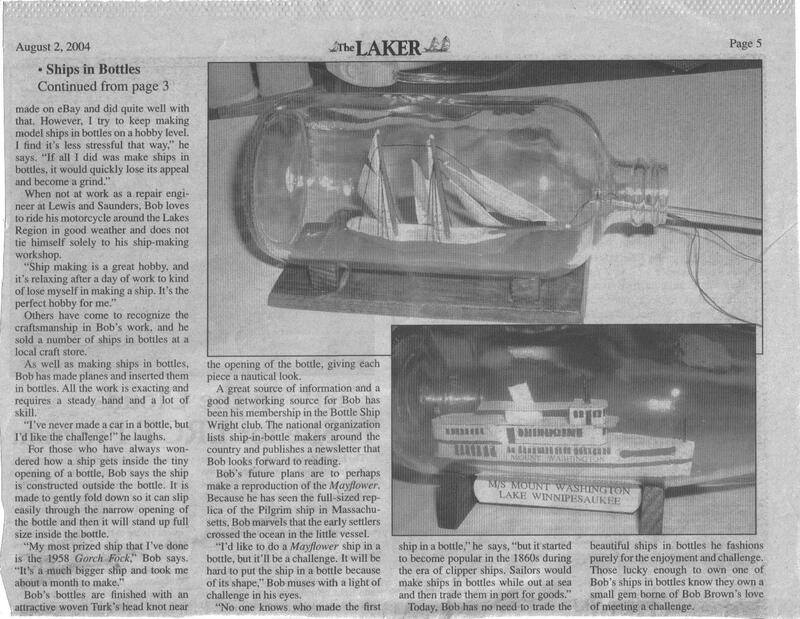 Through the years, Bob has made many ships in bottles from his own designs and has sold many of his ships in bottles to others. He has always appreciated the challenge of the craft and has spent much time researching his projects. Bob is a former member of Ship in Bottles Association of America, a national organization devoted to the craft of building ships in bottles. Through this group, he acquired a great deal of his information and in turn shared ideas with other members of the association. He was featured in the newspaper “The Laker” on August 2, 2004. (See attached article). Today, Bob lives with his wife and two children in Belmont, New Hampshire and continues to create ships in bottles. His projects have become increasingly ambitious as he has grown in skill over the years.